Three years ago, I was thrilled to accompany Harold Gernsbacher to Israel and learn all about the Western Galilee. If you know Harold, you know how passionate he is about Israel and the relationships that have been forged between many cities in the U.S. and Israel. On that trip, I met Kim Goldberg, a talented artist from Omaha who designed numerous materials for the Partnership programs with Israel. Fast forward three years, when I heard from Bob Goldberg, also of Omaha, a couple of weeks ago. He shared with me that he would be moving his family to Fort Worth as he assumed the role of executive director of the Jewish Federation of Fort Worth and Tarrant County. Bob’s post begins on July 1. I realized a few days later that Kim is Bob’s wife and they also have a daughter named Lily. It is a small world. Please join me in extending a warm welcome to the Goldbergs who are eager to put down roots here. In Omaha, Bob has most recently been director of strategic initiatives for the Omaha Jewish Federation. Prior to beginning his career as a Jewish community professional, he was involved in banking and mortgage businesses. He was also very active in the Omaha Jewish community as a volunteer and board member of the Federation. House, recently honored for his 11 years of service, will remain at the Federation until mid-July to aid in the transition. The Federation serves multiple generations and is the central coordinating agency for the Tarrant County Jewish community. It acts as the umbrella organization through which the community’s fundraising, community programs, leadership development, community relations and Jewish continuity needs are met. With funds raised each year, a network of 36 organizations devoted to education, revitalization, social services, humanitarian aid and poverty relief for Jewish populations in Tarrant County, the United States, Israel and around the world are supported by the Federation. Fifty percent of these funds are used locally to provide vital support to Tarrant County institutions. Baruch habaim to Bob, Kim and Lily. We look forward to publishing a larger profile on Bob in a few weeks, after he gets settled in. Debby Rice tells me that everyone is invited at 6:30 p.m. on Sunday, June 30 when Congregation Ahavath Sholom will show the third film in its summer festival. “Footnote” is an award-winning Israeli film about a father and son who are rival professors in Talmudic studies. When both men learn that the father will be lauded for his work, their complicated relationship reaches a new peak. This film is controversial in nature, but oh, so interesting in its story. Familial relationships, religious studies, university department politics, long-time personal feelings and resentment — so much to think about. The showing of “Footnote” will be sponsored by the TCU and Brite Divinity School Jewish Studies Program. Dr. Ariel Feldman, the Rosalyn and Manny Rosenthal assistant professor of Jewish Studies and director of its Jewish Studies program, will lead the discussion after the showing of the film. Debby tells me that so far, the film discussions have been enlightening and enjoyable. The films are free, and so is the popcorn and cold drinks. Everyone in the community is invited. Congregation Ahavath Sholom’s 2013 Summer Film Festival is partially funded by the Jewish Federation of Fort Worth and Tarrant County. When we do tikkun olam, we are doing acts that will benefit our society from our school to the entire planet earth. This mitzvah is all about making the world a better place and believing that we can and should make a difference in the world. Rabbi Heschel was born in Poland and came to the United States in 1940 to escape the Nazis. He became a professor and through his teaching, Rabbi Heschel influenced a generation of other rabbis and educators. Rabbi Heschel wrote an important book titled “The Prophets” and it was from his study of the biblical prophets that he decided to become involved in social issues. He was one of the first to protest against the Vietnam War and joined Dr. Martin Luther King, Jr. in protesting against the lack of civil rights for blacks in the United States. Rose Schneiderman was a young immigrant girl at a time when there were very few jobs for immigrants, especially for immigrant women. Most immigrant women worked in “sweatshops,” hot, overcrowded rooms filled with sewing machines that they worked at for 12 to 14 hours a day. Rose Schneiderman believed that women could improve their working conditions if they worked together, so she cofounded the first union of female workers and became the first woman in a leadership position. It has been said that we cannot change the world until we change ourselves. What can you do to change the way you behave that will make a difference in the world? Family Brainstorm: Pick a problem in your school, community or even the world. Remember that brainstorming means that every idea should be put out on the table — even a 3-year-old may have a great solution. First look at all possible solutions, then decide what your family can do to help. In the newspaper business, we never know where our stories may come from or lead. Every daily activity, encounter and telephone conversation is a possibility for the “nose” to sniff the fragrance of a potential story. And, for my friends out there, please know that I would never write about or print anything without permission. While speaking with my friend and former “carpoolee,” Akiba alum Gila (nee Rosenstock) Appel of Dallas, she mentioned that she and her husband, Noah, and their three children Daniela, Ari and Gabriela recently returned from a fabulous bar mitzvah weekend in Miami. The Appels attended the bar mitzvah of Benjamin Horn, son of former Dallasite and Akiba alum Jenny (nee Savarriego) Horn, and husband, Jonathan Horn at Temple Menorah in Miami, Fla.
Gila was thrilled when she realized that the synagogue’s cantor was Joey Fox, also an Akiba alum. It was a wonderful reunion for Gila, Joey and Jenny as well as Edith Esquenazi, Jenny’s cousin and Akiba alum who attended the simcha with her children, Emily and Albert of Celina. Sharon (nee Degani) Blumberg, also an Akiba classmate attended the Saturday evening Havdallah service with her husband, Marc, and children Sam, Ari and Ayla. Also attending from Dallas were Benjamin’s grandparents, Sara and Sam Savarriego and Lisa (nee Stern) and Carlos Ido and children. Benjamin will be entering eighth grade in the fall. His hobbies include the Brazilian martial art of Ju Jitsu, and playing lacrosse. He also enjoys surfing, mountain biking and skiing. For his mitzvah project, Benjamin collected toiletries for the homeless and also volunteered at the Adaptive Sports Center in Crested Butte, Colo. Prior to the weekend festivities, Benjamin’s paternal grandfather, Leon Horn, a Holocaust survivor, spoke to his seventh grade class. It is a small world after all. Good wishes to the Horn and Savarriego families on their simcha. When Amy, Reuben and Jordana entered Akiba Academy (and later, Ethan), we had the privilege of carpooling with the Fox Family. Beverly and Eddie (z’l) were the parents of five children: Julie, Deena, Laura, Vicki and Joey (now Cantor Joel Fox). Carpools were lively, as you can imagine — with tons of singing, fidgeting, schmoozing and the like. Beverly and Eddie’s generosity knew no bounds — quick to open their home, share family stories and perform mitzvot. Cantor Joel “Joey” Fox grew up in Dallas in an enthusiastic home filled with a love of Judaism and music. As a young boy, he demonstrated a great deal of interest in music, singing and piano. Fox, the youngest child of Beverly and the late Rabbi Eddie Fox, was a student at the old Akiba Academy on Churchill Way. While a youngster, Fox and several female classmates formed a musical group called Der Kinderlach. Encouraged by Eddie, Joey and ensemble spent many hours entertaining the elderly at Golden Acres and other venues. His early activities included performing in theater groups, playing the piano and participating in synagogue choir. At age 14, Joel and his family moved to Israel. After completing his studies at the Rubin Academy of Music in Jerusalem, Joel attended the Israel Institute of Cantorial Art where he studied with internationally-known cantors such as Naftali Hershtik, Eli Jaffe and Moshe Stern. From 1989 until 1992, Fox served in the Israel Defense Forces as a member of their acclaimed Rabbinical Army Choir. In 1992, Joel moved back to the United States and became the cantor at the Jacksonville Jewish Center in Jacksonville, Fla. In 1998, he served as chazzan at Shomrei Torah in West Hills, Calif. and from 2003 to 2012 was cantor for Ahavath Achim in Atlanta. Throughout his career, Fox has traveled and given concerts across the globe for a variety of audiences, as an accomplished pianist and entertainer. Cantor Fox has served at Temple Menorah in Miami, Fla. for the past year. He is an internationally-known performer and entertainer whose repertoire includes English, Hebrew, Ladino and Yiddish songs in a variety of original and traditional arrangements. For additional information on Cantor Fox’s achievements, there are a host of YouTube videos featuring Joel solo or performing with his children Arianna, Daniella and Michael — once again passing the torch L’dor v’ Dor. Rabbi Zev Silver, Akiba Academy’s head of school, is among a select group of 10 day school leaders who will be sponsored by the AVI CHAI Foundation to attend the “Leadership: An Evolving Vision” program at the Harvard Graduate School of Education. The foundation’s sponsorship is part of the AVI CHAI Leadership year-long program conceived to enable day school leaders to apply what they learned at Harvard more effectively in their schools. Over the past 12 years, AVI CHAI has sponsored almost 360 principals from across the spectrum of Jewish day schools to attend one of the one-week summer institutes offered by the Principal’s Center at Harvard University. Sponsorship preference is given to seasoned Judaic educational leaders with significant decision-making responsibilities. AVI CHAI sponsors professional development programs for principals with the intent of ensuring that more schools are headed by effective and Jewish-inspiring leaders — thus advancing and sustaining quality Jewish education over the long term. One of the most exciting times around our household decades ago was the arrival of the Israel Scout Friendship Caravan. My late parents always opened their homes to exchange students, Israeli Scouts and visitors from Israel. I remember fondly how excited Amy (Davidsohn Doty) and her siblings were when we began hosting scouts. Amy was about 7 years old, and longed for the day that she could participate in the activities with the Caravan as a peer. Our hosting experience lasted for over 20 years and I still think of all of the young Tzofim who touched our lives and hearts. Hosting was an enriching experience — and one that is unforgettable for anyone who participates in it. The Israel Scout Friendship Caravan is coming to Dallas and will perform at 3 p.m. on Sunday, July 14 at the Jewish Community Center, 7900 Northaven Road, Dallas. The public is welcome. While in Dallas, the caravan will also perform at several summer day camps, a senior living facility and local and national Boy Scout offices, in addition to the citywide performance at the Jewish Community Center. Each Friendship Caravan consists of five male and five female Tzofim (Israel Scouts) who are entering their senior year of high school. There are four caravans that travel throughout North America each summer as emissaries, sharing their lives in Israel through song, dance and story. Participants are chosen after undergoing an extensive auditioning and interviewing process, ensuring that above all, they are true representatives of Israeli culture and spirit. The Friendship Caravan typically reaches over 35 states, including 250 camps, community centers, churches, senior homes and schools, performing for an audience totaling nearly 100,000 people. The Caravan has been coming to Dallas for over 30 years. Each teen in the Friendship Caravan, like all 100 delegation members visiting North America, is a member of the 60,000 member strong Tzofim Movement which, in turn, is part of the International Scouting movement. The Tzofim Movement is the only non-political and non-sectarian youth movement in Israel. For more information on the Scouts go to www.israelscouts.org and click on Tzofim Friendship Caravan. For more information on the Scouts’ visit to Dallas, please contact David Abrams at 214-669-3033 or davidabrams18@att.net. Child Welfare chairperson Jeanie Tolmas, along with Sandra Cantor, delivered numerous end-of-the-school-year gifts to be used as prizes at the Martin Luther King Jr. Learning Center’s Awards Day celebration. Educational games for each grade level, a scooter and helmet, as well as other much needed items were donated by the JWVA to help them during this exciting time of year. Their membership recruitment brunch took place on June 2. The champagne brunch, which was planned and executed by membership chairperson, Lynn Teitlebaum, was the highlight of the morning. Following the brunch, the ladies added nine new members to their roster. From June 6-9, the ladies hosted their national president, Arlene Lodgen, along with her husband, Steve, from Boston, who visited the Auxiliary for a weekend of productive meetings, great meals and sightseeing around Dallas. One of the highlights of having them here was the JWVA’s annual Grant-A-Wish for a veteran at the VA Hospital on June 7, planned by past president and VA liaison, Dottie Garment. We’ve heard that the recipient was very happy to have his wish granted by the JWV Auxiliary. Also noted was that the group always receives an extremely warm welcome at the VA Hospital. For additional information about joining the JWVA 256 in all their charitable endeavors, please contact Lynn Teitlebaum at 972-233-8937. New members are always welcome. We need to draw a vital distinction between the fact that Christians “just believe” and that many of your friends in Yeshiva “just believe.” It is true that when you compare actual people — the people of the masses who accept things at face value without thought and do things by rote — you may not find much difference between them other than they buy into different belief systems by rote. If many of them happened to have been brought up by a family of the opposite beliefs, they would probably fall right in with whatever is being taught to them. That does not show a similarity in the belief systems, rather a similarity in some of the people following them. When it comes to the actual systems of belief, however, they could not be more diametrically opposed in their outlooks, especially with regards to taking their beliefs for granted. In Christianity, for the most part, to “just believe” is meritorious. On numerous occasions, former Christians have approached me to discuss conversion to Judaism because they were forbidden to ask questions. When they would approach their religious leaders with difficulties about their religion (contradictions in teachings and the like), they were dealt with like heretics or told they need to “just believe” and not ask questions. For some reason, otherwise inquisitive people, people of science who are rigorous in their criticisms of scientific theories and in their peer reviews of the ideas and postulates of their colleagues, see fit to have a double standard with regards to religion. They have been brought up to “just believe” since their youth. With regards to much of Christianity, to “just believe” is not a lack of effort by the masses, rather it points to the heart of its belief system. The Torah and Judaism, however, could not be more opposed to that outlook. The first thing a child is taught at the Pesach seder is to ask questions. We have an entire, vast Talmud which consists largely of rigorous challenges to anything and everything stated, whether in pesukim (verses), Mishnah, rabbinical statements, even acts of the Al-mighty. Our greatest teacher of all time, Moshe, strongly challenged God on some of His actions, and God accepted his challenges; not only without rebuke, but changed many of His decrees due to Moshe’s challenge. We also point out the mistakes and misdeeds of our greatest leaders: those of Abraham, Moshe and others. With regards to our essential belief system, the esteemed sage R’ Moshe Chaim Luzatto writes in his monumental work “Daas Tevunos” that we have an obligation to not take our beliefs at face value, rather to delve deeply into them, challenge them and come to a deeper understanding — an understanding that sits well in our hearts and satisfies the inquisitive, intellectual part of our soul. Most people, many of the friends you mention, may not be so intellectually inclined and are satisfied, perhaps, with what we call emunah peshuta, or simple belief. I’m not out to judge them, but that reflects on the people, not the religion. Anyone who has an intellectual side to them needs to work on achieving a profound understanding of everything Jewish. In our Texas group, we take special pride in the late Rosella Werlin, a long-time Houston member who died in the mid-’80s, because her important impact on so many writers continues to live on long after her passing. Neither this national nor state organization has many Jewish members, since the concentration of both has always been service to journalists and other writers in the hinterlands of our profession. The members do not include women working at major metro dailies, but those of us who labor in small towns or suburbs for specialty or niche publications. I’ve been affiliated for almost 46 years, and have become both the national and state headquarters’ go-to person for assuring that conference and meeting dates don’t conflict with major Jewish holidays. Rosella was one of PWT’s few Jews; ironically, it was this that put her on track toward making a major contribution to the writing game. Fans who resonated with Rosella’s easy-reading feature story style nudged her for many years to send some of her pieces to the Reader’s Digest. So, when she ran into what she considered just the right subject, she submitted a proposal. She would write the tale of a Down Syndrome boy’s bar mitzvah in Houston. This might not seem so unusual in today’s more inclusive Jewish communities, but was virtually unheard of in the late 1970s. And the kicker: The child’s father was the rabbi who prepared him! Neither yea nor nay, Rosella never received any response at all to her submission. So imagine her dismay when a year or so later she saw her own story in RD, published under someone else’s byline. The magazine hadn’t trusted a Texas freelancer, but instead passed her material on to a writer of its own choosing. Obviously, RD did not know Rosella Werlin. She promptly sued, providing evidence of her many published writings to dispel any question about her ability and experience. Her 1982 victory in this David and Goliath battle over “unjust enrichment” was enduring good news for freelancers everywhere. Later, in her memory, the Werlin children endowed a yearly workshop to be offered by PWT at its annual state conference, free for all who write or are interested in writing. Workshop presenters are chosen because they have something valuable to share about their own writing experiences; the terms that provide an attractive honorarium make only one stipulation: no speaker may ever have been enriched by any payment from the Reader’s Digest. It was my privilege and pleasure to chair PWT’s annual Werlin Workshop last weekend and find a challenging presenter wherever we meet. In Bryan-College Station: the director of Texas A&M Press; in Georgetown: a writing professor from Southwestern University; in Tyler: the executive editor of the city’s daily paper. When we met locally last weekend, we heard from Dallas’ Wendy Harpham, M.D., who’s triumphed in an exciting second career after non-Hodgkin’s lymphoma forced her to give up her internal medicine practice more than two decades ago. She’s since written six books from her unique dual physician/patient perspective, heartening thousands with life-threatening illnesses and educating the doctors who care for them. Rosella Werlin is surely smiling at Wendy, another Jewish woman writer who has overcome adversity to have a positive impact on so many. This summer at J Camps, we are learning values through many ways. One way to see Jewish values in practice is to look at our Jewish heroes and mentors. We know that “we are standing on the shoulders of the ones who came before us.” We must learn the lessons from those who came before us and then strive to be the ones who will shoulder the next generation. How do we make Maimonides or Albert Einstein or Hannah Senesh come alive to our children? By making them come alive to us as parents and then introducing them to our children as “family” because these heroes are indeed part of our Jewish family. Just as we know the history of our favorite aunt, we should learn the story of “Aunt Ruth Bader Ginsburg.” We realize that our entire Jewish family makes us who we are and who we will become. The information for this summer’s weekly columns comes from “Jewish Heroes Jewish Values — Living Mitzvot in Today’s World” by Barry L. Schwartz. Please feel free to contact me to learn more and to find ways to share these lessons with your children. JCC camps will share and teach mitzvot throughout the summer, focusing on lots of great heroes as well as practice being heroes for the future. The hope is that campers will come home this summer with positive role models, present and past. Well, you probably have noticed that a large part of this week’s issue is dedicated to our community’s high school graduates. If you haven’t had time to send in your graduate’s news yet, don’t despair, we can run it in an upcoming issue. Congratulations are due to Dalit Agronin, daughter Carol and David Agronin, who was named to the Dean’s List at Muhlenberg College for the Spring 2013 semester. Students must earn a minimum of a 3.5 GPA on a 4.0 scale to attain Dean’s List status. Dalit, a member of the Muhlenberg Class of 2016, is a dance and psychology major. She is a graduate of Yavneh Academy. Founded in 1848, Muhlenberg College is a highly selective liberal arts college in Allentown, Pa.
Mazel Tov to Rachel Lauren Gaspar, daughter of noted jewelry designer Deborah Gaspar. Rachel, a 2013 distinguished graduate of Plano Senior High School, and also attended Shepton High School in Plano two years prior. 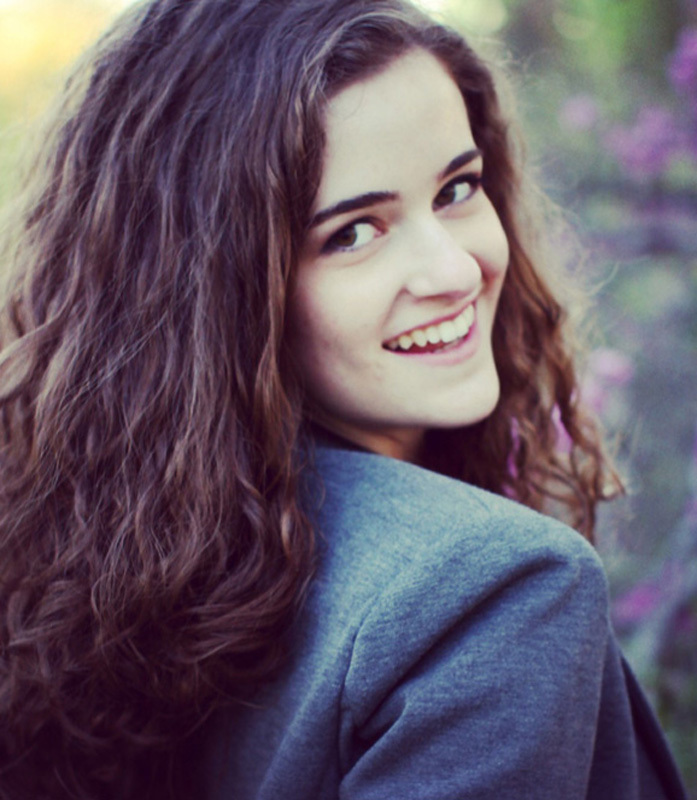 While attending Plano schools, Rachel was an AP National Scholar, a member of the National Honor Society and National Spanish Honor Society in addition to taking the National Spanish Exam, which won her the Silver Medal in 2011. Rachel won both the All-American Award and Dance Award in cheerleading and won 1st Place in the National Cheerleading Competition in 2011. In addition to participating in cheerleading throughout high school, she was also an avid gymnast for four years. Rachel was a member of Student Congress in 11th and 12th grade and a member of Shepton’s Student Senate in 10th grade. She was a member of Ginny Weinstein BBG and a Temple Shalom Family Member. She volunteered more than 96 hours of community service with Operation Kindness, Seven Loaves Food Shelter of St. Andrew’s Church and at the Plano International Festival at Haggard Park and replanted trees for the Texas Trees Foundation at the TXU Urban Tree Farm. Other volunteer activities included registering participants for the Make A Wish Foundation Bike Race, donating 11 inches of her hair for Locks of Love, participating in the Cookies and Art Project for the Fire Department, serving as Santa Claus of the Willow Bend Mall — a craft project for younger children and cheering for the Special Olympics Basketball Game at Plano West High School. Rachel is widely traveled, having visited Mexico, the Dominican Republic, Haiti, Puerto Rico, St. Martin, Washington, DC, New York, Kansas, Utah, Florida, California, Oklahoma, Colorado and North Carolina. 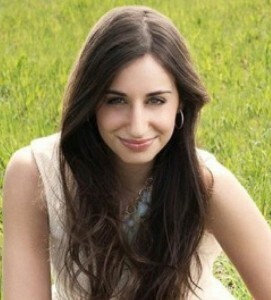 Rachel’s interests and hobbies include jewelry design, interior design and animal rights issues. She has been employed at Deborah Gaspar Designs as a design assistant and in sales. She is currently an office assistant at Dirty Dawgs, and has worked seasonally at Bandana Aspen in Aspen, Colo. Some of the highlights of Rachel’s work and travel experience were attending the Wholesale Jewelry Show in New York City and visiting with the stylist on Katie Couric’s TV show. Rachel plans to attend USC in the fall. Rachel has a brother, Jared, 21, and enjoys spending time with her family and 130 lb. Great Dane. Alex Morris, daughter of Melanie and Jeff Morris graduated from JJ Pearce High School in Richardson. Alex graduated with honors, was a member of the National Honor Society, an SOS lifeguard and senior mentor to the incoming freshman. Alex participated in the invitation-only internship work-study program during her senior year, where she worked as graphic designer for The TJP. Alex was honored with the Gianni Scholarship, which awards academic scholarships to students pursuing degree programs in the arts. Alex was an active member of Ginny Weinstein BBG, former chapter president and regional board officer. She plans to attend Northeastern University in Boston this fall pursuing a degree in graphic arts. 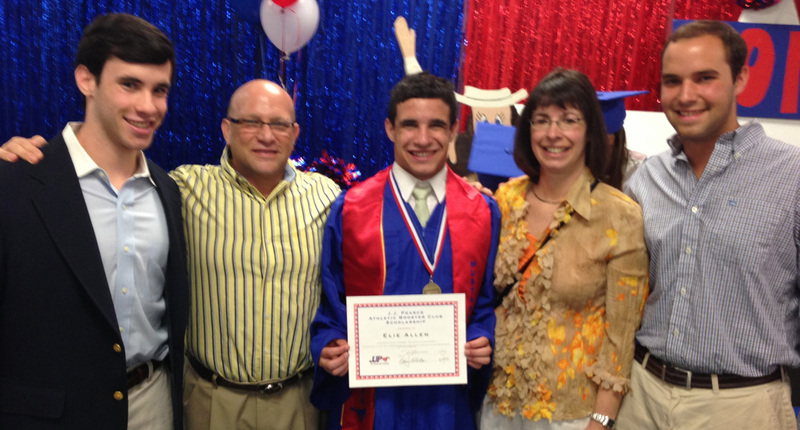 Elie Allen, son of Mona and Artie Allen, was honored with one of two Pearce Athletic Booster Club Scholarships. The $750 award was given based on character, scholastic achievement, school and community activities and financial need. Elie, like his dad, is bound for the Crimson Tide University of Alabama. In addition to being active in Kaplan AZA and Young Men’s Service League, Elie was a varsity wrestler, winning district honors. Elie is the brother of Nace, Adrian and Lee. You will see the entire Yavneh graduating class on page 14-15 of this week’s issue, but we’d like to recognize in addition to the valedictorians, the school’s honor graduates Shelby Gadol, Rachel Goodman, Justin Katz, Shea Miller, Clara Moskowitz, Kayley Romick, Elie Schramm, Mika Stein and Liora Zhrebker. The school’s Sylvia and William Epstein Golden Wedding Anniversary Fund Award for Excellence in Judaic Studies honors were bestowed upon Rachel Goodman and Kayley Romick, who provided the commencement D’var Torah, and Yavneh’s Gabbai award was given to Tamar Cohen and Elie Schramm. 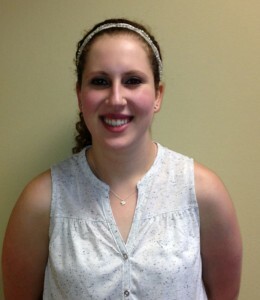 Incidentally, Rachel Goodman, is also a TJP intern this summer. Congratulations to Jamie Weiss, daughter of Tara and Rich Weiss, who graduated from McKinney High School earlier this month. You may remember that we profiled Jamie on these pages when she was a finalist in the TXU Energy Light up the Red Carpet film contest. Jamie graduated in the top 10 percent of her class, was a member of the National Honor Society and producer of the bi-weekly television show MHS1. 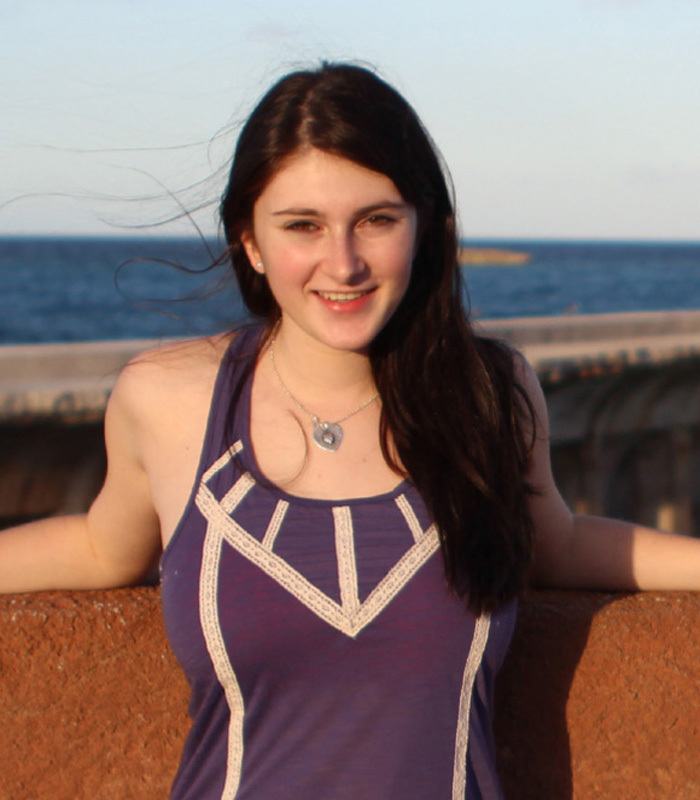 Jamie was active in Ginny Weinstein BBG and is headed to Syracuse University in the fall where she will study broadcast and digital journalism. As a TJP intern this summer, Jamie has already expanded the social media presence of the paper and is adding some terrific video to the TJP website. You can check out her piece on Rosa Blum at tjpnews.com. Lakehill Preparatory School graduate Clayton Drazner, son of Laurie and Mark Drazner, was recently selected by the Texas Association of Secondary School Principals (TASSP) as a member of the TASSP All-State Academic Excellence Team. This prestigious award was designed to recognize Texas high school seniors for their outstanding academic achievements and to reward superior scholarship. As one of only 20 members selected for the TASSP All-State Academic Excellence Team, Drazner was awarded a $500 scholarship and formally recognized at the TASSP Summer Workshop in Austin on June 13. Drazner is also a National Merit Scholarship winner and was selected as a candidate for the Presidential Scholars program. He will attend Rice University. Joining Drazner in the Lakehill Class of 2013 are Dory Fine, daughter of Robin Donsky and Kenneth Fine, and Jacob Graff, son of Jonathan Graff and Audrey Miklius. Dory will attend USC in the Fall and Jacob will head to Columbia University in New York City. Lesley Miller, daughter of Fred and Debra Miller, graduated with honors as a National Merit Finalist from Plano West. She will be attending Rice University in the fall and studying psychology with a minor in neuroscience. When Keren Moyal, daughter of Irit and Rabbi David Moyal, graduated from Mesorah High School on June 2, she was presented with an engraved bronze medallion recognizing her selection as a distinguished finalist for 2013 in The Prudential Spirit of Community Awards program. Since 11th grade, I have been bothered by the following question. I believe God is the only power and one is required to believe in Him and only Him. A Christian believes Jesus is a power and, therefore, we are required to believe in Him. The Boston bombers believe what they did was right because their victims don’t believe in Mohammed. How do I know I am not wasting my life? I think a few questions are implicit in your question: Firstly, how do we know Judaism and its beliefs are any more compelling or truthful than the others you mentioned? Secondly, if such diametrically opposed beliefs could coexist under the title of organized religion, perhaps the entire institution of organized religion is flawed? Lastly, if the above are correct, perhaps you are wasting your time and life by investing it in the beliefs and practices of Judaism? Let us address these questions in reverse order. The notion of wasting your life is a relative question. Even if, for arguments sake, Judaism is a complete fabrication, those who espouse the mitzvos and Jewish beliefs live a very fulfilling, ethical and enjoyable life. We encourage marriage, building a family, dressing nicely and making a good living. The laws limit your lusts and out-of-bounds desires by a code of eating certain, healthier foods and acknowledging God every time we eat. Enjoying life and all its blessings are a theme of Judaism. One would be hard-pressed to show how such a person “wasted their life!” If, however, Judaism is true and one would neglect to heed its commandments, the person would be in far worse shape than the first scenario. The existence of contradictory and even violent messages by organized religion should not come as a surprise, especially considering how the religions you mention were initially spread “by the sword” more than they were promulgated philosophically. We often find that the institution of government is abused and utilized improperly as a power ploy, casting aspersions upon the individuals doing so, not on the institution of government. The Torah itself explains what sets Judaism apart from other religions when it relates, after the Ten Commandments were given, Hashem said to Moshe, “so shall you say to the Children of Israel, ‘you have seen that I have spoken to you from heaven’” (Shemos/Exodus 20:19). Similarly the Torah asks, “Has a people ever heard the voice of God speaking from the midst of the fire as you have heard, and survived?” (Devarim/Deut. 4:33). The Torah is teaching that what sets itself apart from other religions is that it came as a direct revelation from the Almighty to the entire Jewish nation. This is radically different than every other religion, without exception, that claims to have had a revelation from God to an individual or small group of individuals and that they are “passing on the word” to the rest. In fact, Christians and Muslims believe that God spoke openly to the Jews at Sinai; they just contend that He changed His mind later and rejected the Jews. Please contemplate these ideas and let me know what you think!